A regional publisher is set to axe a weekly newspaper’s office as part of a restructure which has put four jobs at risk. 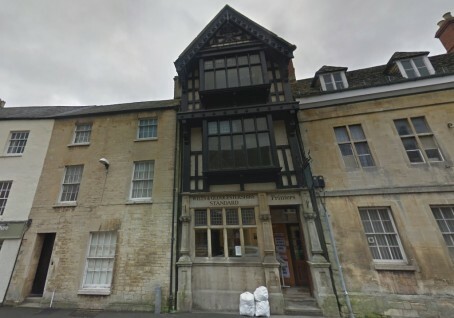 Newsquest is proposing to shut the office of the Wilts and Gloucestershire Standard, in Cirencester, with three roles there placed at risk of redundancy. Those under threat are the paper’s arts editor, an editorial assistant and a receptionist. In addition, the company is planning to reduce the number of sports editors working at three sister titles – the Standard, the Gloucestershire Gazette and the Stroud News & Journal – from three to two. The Standard’s office, pictured, would be closed at the end of December if the proposal went ahead. Remaining staff would be faced with working from the offices of the News & Journal or Swindon Advertiser, with remote working also a possibility. The proposals come after the Gloucestershire Gazette’s office, in Dursley, was shut in 2015. Staff there relocated to the News & Journal’s headquarters following the closure. Tim Lezard, National Union of Journalists regional representative for the South-West, said: “It is sad to see the erosion of any newspaper moving out of its own town. The NUJ will do what we can to protect jobs and newspapers. Consultations with affected staff are set to be completed by the end of November. Peter John, Newsquest group editor for the West Midlands, which includes Gloucestershire, has declined to comment. Blimey, Newsquest really does do the same thing every Christmas. I wonder if the executives pencil in a date in November to work out where the festive axe will fall next. It is almost Dickensian. My local paper. Very sad to see it abandoning Cirencester. With what’s going on in the town at the moment, never has a watchful eye been needed more. It is that time of year folks when companies start panicking about budgets, and not just Newsquest. As I commented yesterday, Scroogequest will be mainkg redundancies in all its centres in the run up to Christmas. Picking off only one or two job roles so that it doesn’t become a big story for HTFP and co.. Terrible really, what an awful organisation Newsquest is. It’s not just Needquest to be fair, it’s common practice at other publishers too believe me, the old gradual pushing them out the revolving door on the QT before year end to reduce costs and thus hoping to avoid more negative publicity on HTFP. Yup. JP has recently shipped out some excellent advertising support workers. This is bad. I worked as the Malmesbury reporter for the Standard, and it still had a district office in Malmesbury then (now closed). Closing the Cirencester office means anyone covering the patch has to travel from Stroud or Swindon – 20 miles away.